Regular readers of Phones Review may remember that last week we told of the rumors that there could be another version of the new iPad released later this week, a new, new iPad if you will. Although it seems unlikely in some respects, sources were claiming a refreshed iPad within months, making it the second iPad launch within a year. Now it seems evidence is mounting further. We told of the conjecture that a revamped thinner new iPad could come as soon as September and that it could also offer an improved battery life and possibly Retina displays made by Sharp. Further news seems to back up the idea of an iPad update for later this year in time for the holiday season and also tells how Apple is considering changing back to a one-LED backlight module solution rather than the two-LED backlight module in the current new iPad. Making this switch would result in the heat output of the iPad being reduced. A report on DigiTimes (a mixed record on accuracy) brought to our attention by Apple Insider, claims that the extra LED in the current latest iPad is contributing to overheating and it’s thought that going back to one-LED module would not negatively affect the “luminosity and clarity” of the iPad display. We also told previously how Sharp IGZO panels might be used on the new, new iPad and now it appears that several reports from the Far East are reinforcing this. 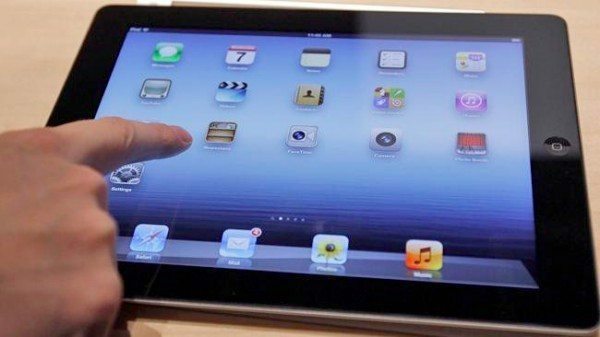 When the new iPad was launched in March one of the only criticisms noted by some was that it got significantly hotter than the iPad 2, although at the time Apple said it was working well within the necessary parameters. However if this latest news is accurate it seems that Apple may have been taking notice after all. We’re interested to hear what you have to say about the possibility of a second new iPad for 2012. Do you think it’s necessary to reduce the heat output, or maybe you’re more interested in a thinner design or an improved battery life? Let us have your comments on this.